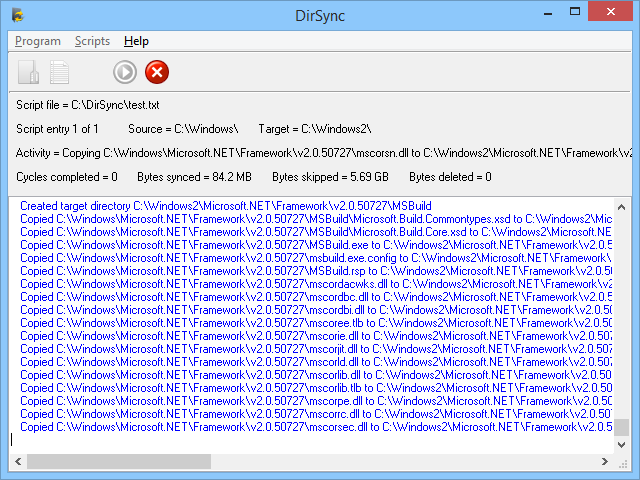 DirSync is a Windows utility for keeping two directories in "sync". You specify a source and target directory and DirSync will ensure the files in the target directory exactly match the files in the source directory. Directory structure is also synced, ie if a directory or file exists in the target directory that does not exist in the source directory it will be deleted. Only files or directories that have changed will be copied to save bandwidth and time. Scripts can be used to automatically sync multiple directories. UNC paths are supported for syncing between two or more servers. DirSync supports command line parameters to allow it to run "hands free" or to be executed from a batch file. Options exist to launch programs before and after the sync runs. So if you want to stop a database before the backup and restarting once the backup completes you can do so automatically. Errors are handled without crashing the program so if the target directory from one of the script entries is not available the rest of the script will continue to run. 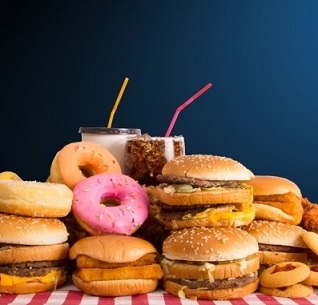 197 478 Softology <img src="https://www.oldergeeks.com/downloads/gallery/thumbs/dirsync1_th.png"border="0"> Jan 22, 2019 - 11:58 8.4 1.39MB EXE , out of 3 Votes.